This post contains a level of transparency that is hard for me to share. When I share things about my relationship with Joe it comes naturally because I don’t mind being open and honest about what God is teaching us through the good and hard times. This post is more difficult for me to write because it shares some hard truth about my relationship with God. The first couple weeks of our marriage were so sweet as we spent time in God’s Word together as a couple. We read out loud and enjoyed the time of spiritual intimacy between us and God. It honestly was so beautiful because I felt like God truly was at the absolute center of our relationship. Each day we were talking to Him all of the time and hearing from Him through the truth shared with us in the Bible. After a couple of weeks we stopped making it such a priority to be in God’s Word together. It didn’t seem like a big deal, but now as I look back on our first month of marriage, I can see a huge difference in our hearts and attitudes in the first couple of weeks compared to the later weeks. Not only did our time as a couple with God fade away, but I did not have a desire to spend personal time with God at all. I was completely aware of this and I continued to push that precious time away even when I felt like I needed Him so badly. One day after church I could tell that Joe was really burdened by something. When I asked what it was, he had a really hard time finding the right words to graciously communicate what was on his mind. He told me that he felt like I was not spending time in God’s Word recently because I have not been acting like “myself”. Apparently when I am regularly reading Scripture Joe can tell because I am full of joy and constantly sharing what I am learning each day. It was a big wake up call for me to know that Joe can actually see a difference in my character when I am not growing spiritually. I am so thankful that he challenges me and expects me to spend time with God! One night as I was falling asleep I was telling Joe how much I absolutely love him and spending time with him. I felt like I could never get enough of my time with him. That’s when I realized that I had been enjoying my time with Joe way more than my time with God – and I knew that was something that had to change immediately. 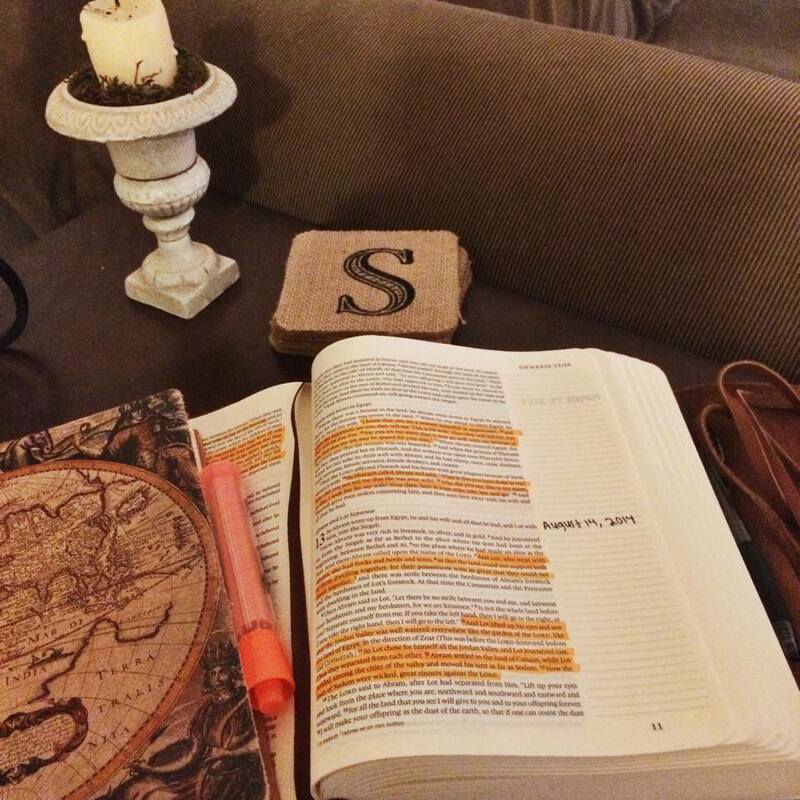 I shared that realization with Joe and he helped me think through my schedule so that I could find a regular time to sit down and read my Bible each day. This was only a few days ago, but as I have been waking up early before work and reading Scripture, it has had such a huge impact on my days. I finally can feel growth again as I think through what I read in the morning throughout the day. I feel that within our Christian communities it is easy to act like we are always growing and spending time with God, when realistically finding time to read Scripture is something that most of us struggle with regularly. I know that sometimes when friends ask me what God is teaching me I am guilty of sometimes sharing things that He has taught me in the past just so that I have a good answer. I want to encourage you all to seek accountability within your community so that somebody can help make sure that you stay in God’s Word and are growing spiritually. “For the word of God is living and active” (Hebrews 4:12) and is such a great gift that we have been given. Let us not take advantage of the truth that we have available to us from God Himself!